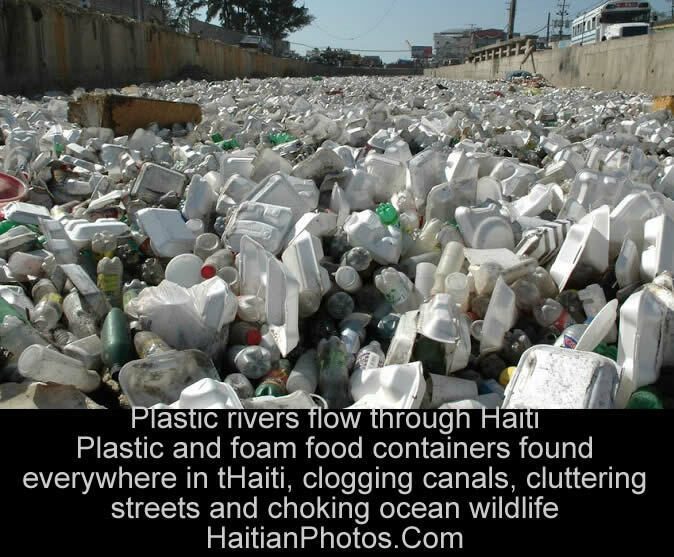 Here is a sad picture of a plastic river flowing through Haiti. Equinox, the day of the year when the Sun rises directly in the east and sets directly in the west. The earth constantly tilts at an angle of 23.5 degrees as it orbits the sun. The Autumn Equinox is the first day of the autumn season. It is the time when the North Pole begins to tilt away from the sun. 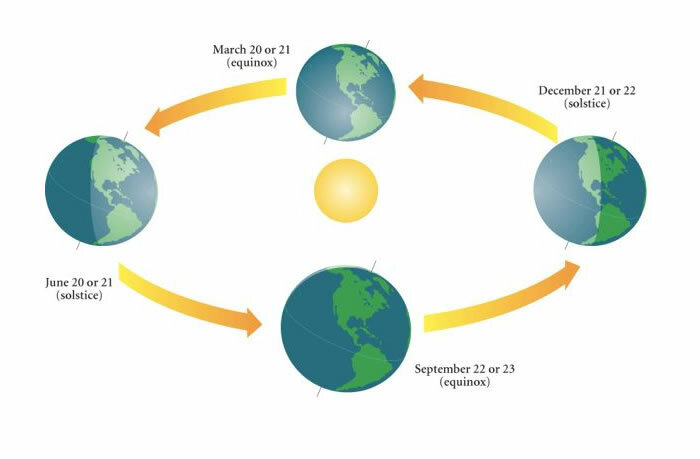 Similarly, the Spring Equinox is the first day of the spring season when the North Pole begins to lean toward the sun again; it occurs when the sun passes the equator moving from the southern to the northern hemisphere. When the earth continues tilting away from the sun, brings shorter, colder days as it moves into winter. In its opposite movement leaning towards the Sun, brings longer, hotter days, most extreme in high summer. Here is a picture of a full Moon. A natural satellite is an object that orbits a planet or other body larger than itself and which is not man-made. There are thousands of man-made artificial satellites orbiting the Earth. 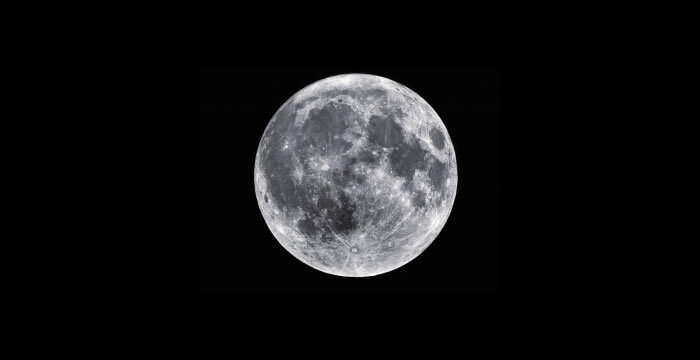 We have one natural satellite called the 'Moon'. Our Moon takes 27.3 days to orbit the Earth once, moving at an orbital speed of 1 km/s. The Moon is in synchronous rotation with the Earth, always shows the same face. Since the 19th century, scientists have made genuine searches for more moons and found a number of near-Earth objects (NEOs) with orbits that are in resonance with Earth. However, they were inaccurately called "second", "third" or "other" moons of Earth. In 2016, an asteroid (HO3) was discovered on 27 April 2016; it is possibly the most stable quasi-satellite of Earth. Besides that, our natural satellite Moon has much smaller cousins, dubbed as "mini-moons." Many of them are thought to be only a few feet across and usually circle our planet for less than a year before resuming their previous lives as asteroids orbiting the Sun. Massif de La Hotte is a mountain range with an area of 128,700 hectares in the south-east of the country, near the city of Jérémie. It is a hotspot for biodiversity in Haiti where the island's most biologically diverse species exist. This site has been recognized as among the sites hosting the largest number of Alliance for Zero Extinction (AZE) species in the world with 13 endemic and critically endangered species. Some of these threatened species of plants and animals include: Eleutherodactylus Amadeus, Eleutherodactylus Apostates, Eleutherodactylus Thorectes, and Eleutherodactylus Lamprotes. 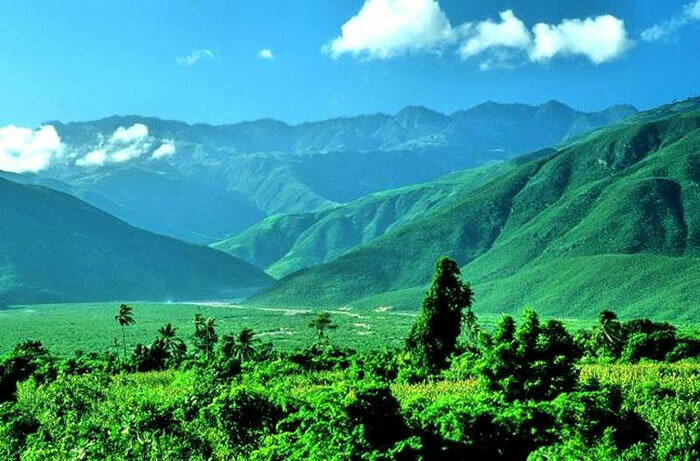 The reserve covers six mountain peaks including, Haiti's second highest peak, Macaya Peak (2347 meters) as well as a coastal and marine ecosystem in the north (Iles Cayemites) and south (Ile-à-Vache). 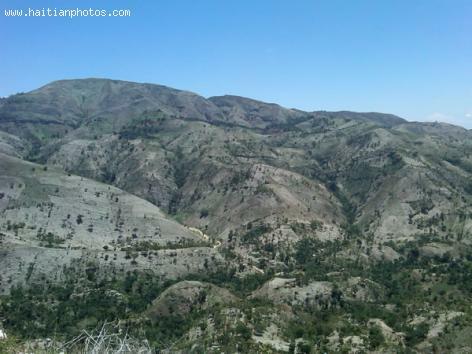 The government of Haiti is not competent to resolve the environmental problem of Haiti. We are in presence of a government that can only deal with crisis. Just imagine that it takes years for the environment to reach this level of degradation, the government will not have this as a direct challenge; consequently, seach problem will be put in the back burner. Here is a picture of some homes under water as the community was swallowed by Lake Azuéi. Lake Azuéi, the largest lake in Haiti, lies about 18 miles east of the Haitian capital Port-au-Prince. Lake Azuéi (Lac Azuéi) is also known as Étang Saumâtre (mild saline pond). It is the second largest lake in Hispaniola, after Lake Enriquillo. The scientists are stunned by the constant rise of these two lakes, Lake Azuéi in Haiti and Lake Enriquillo in the Dominican Republic. These lakes are swallowing up lands that are home to 400,000 people. Lake Azuéi rose so much between 2004 and 2009 that it consumed dozens of square miles. A 2008 estimate reveals that Lake Azuéi had flooded around 6,000 acres (about 15,000 hectares) of agricultural land in Haiti, and that is a big loss to a fragile economy. 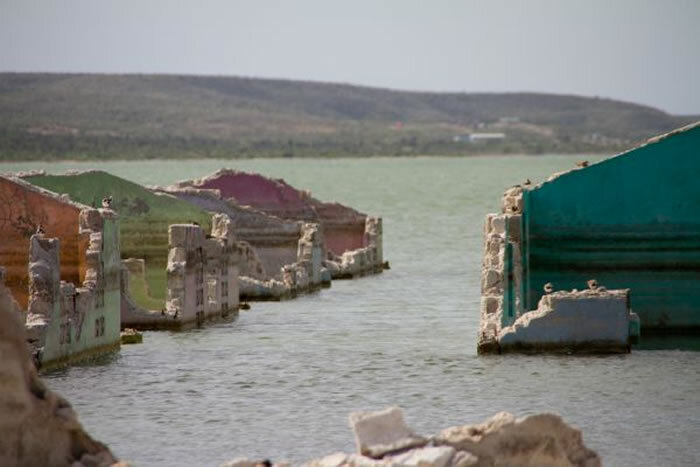 In the last ten years, Lake Enriquillo rose over incredible 37 feet, doubling in size, destroying the surrounding fragile ecosystem and swallowing at least 40,000 acres of farmland. Experts from all over the world have traveled to study these two lakes, but they are clueless; could not draw any conclusion on the lakes' rise. Some want to attribute it to the climate changes, or pollution, however, this proposition is counterintuitive, because as per the established scientific theories, ocean level rises with climate changes, but lakes always tend to shrink. Some of the common causes cited by the experts which could be responsible for the water level rise include deforestation, saturation of the soil or buildup of waste and sediment in the channels that are blocking the water outlets. Some of the scientists feel that the 'Yaque Del Sur River' could be held responsible for the rise. More dams should have been built to control the flooding of agricultural canals, responsible for channeling water to the lakes. 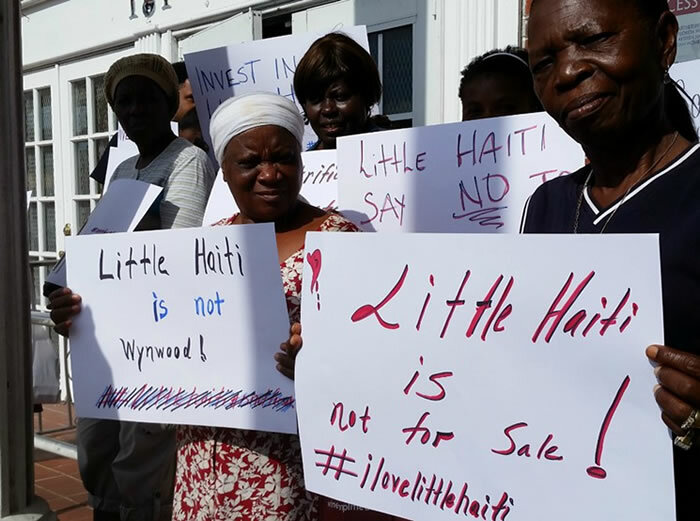 The Haitian government has no plan or rehabilitation package for the flood victims. Only a Florida-based Christian charity called 'Love a Child' provided few homes to the families who lost their houses to the Lake Azuéi whereas the Dominican government has built an entire town for the susceptible residents. six long lost species of frogs found in Haiti. In January 2011, scientists exploring the pristine Haitian forests found an abundance of frogs, including six species lost for nearly two decades. On the one-year anniversary of Haiti's earthquake nightmare on January 11, 2011, the scientists from the Conservation International (CI) and the Amphibian Specialist Group (ASG) of the International Union for Conservation of Nature (IUCN) found six globally unique frog species in the tropical jungles of Haiti. The researchers were working in Haiti, especially in search of long lost La Selle Grass frog (E. glanduliferoides) which had not been seen since 1991. In 2011, Conservation International was working in 18 countries with the goal of locating species that have not been seen in a decade or more and which are feared to be extinct. 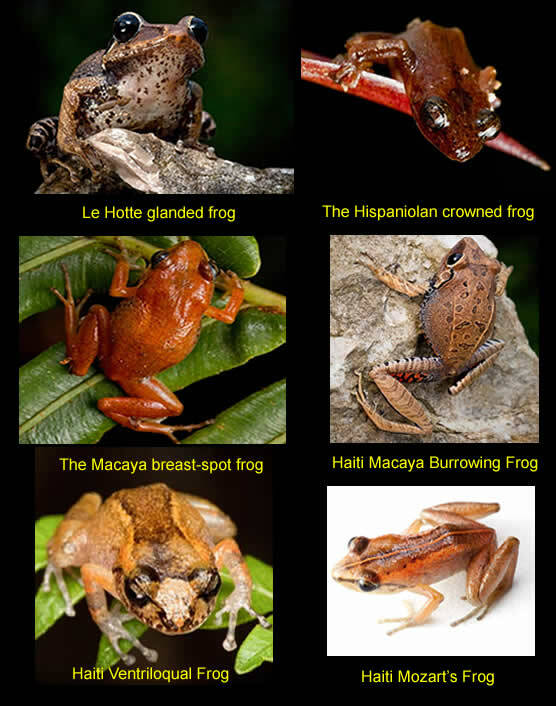 The six species that the scientists have found are: (i) La Hotte Glanded Frog; (ii) Hispaniola Crowned Frog; (iii) Haiti Macaya Burrowing Frog; (iv) Haiti Macaya Breast Spot Frog; (v) Haiti Ventriloqual Frog; and (vi) Haiti Mozart's Frog. La Hotte Glanded Frog is a critically endangered species that sees the world through unusual, sapphire colored eyes. Hispaniola Crowned Frog was named after a subtle row of protuberances resembling a crown on the back of its head. The males of the Macaya Burrowing Frog species call from underground chambers. This was the first record of the species from this area. The females of this species lay eggs underground. Skipping the tadpole stage, they hatch directly into 'froglets'. A fully grown Macaya Breast-spot Frog, about the size of a grape, is one of the smallest frogs in the world. Hispaniola Ventriloquial Frog projects its bird chirping voice like a ventriloquist. 'Mozart's Frogs' are whistling frogs that make whistle-like call resembling musical notes. The species is named after composer Wolfgang Amadeus Mozart. The Haitian cloud forest is home to many critically endangered amphibian species. However, due to the massive deforestation, many Haitian species of plants and animals might become extinct within the next few decades. Here is a poicture of the Ricord's Iguana, Haiti's giant iguanas, threatened species. 'Iguana' or rhinoceros iguana or Ricord's Ground or Rock Iguana (Cyclura cornuta) is primarily found on the Caribbean island of Hispaniola, shared by the Republic of Haiti and the Dominican Republic. It is a threatened species in the lizard family that varies in length from 60 to 136 centimeters (24 to 54 inches). The populations of 'iguana' are even more endangered in Haiti because of its deforestation, predators, and human habitat. Ricord's iguana prefers dry xeric scrubland with sandy and earthen soils in which they excavate burrows for retreats. Their several key environmental factors, including soil depth and texture, bedrock parental material, landform, and climate seem to determine their presence. A recent, conservative but fair estimate suggests a current population between 2,000 and 4,000 within the 100 square kilometers of the South-Central part of the island of Hispaniola, and it is rapidly declining. Adult population of Iguana in Haiti could be less than one hundred. In August 2012, Dr. Masani Accimé, found a group of hatchling Ricord's Iguanas (15 numbers) in the dry forests of southeast Haiti. 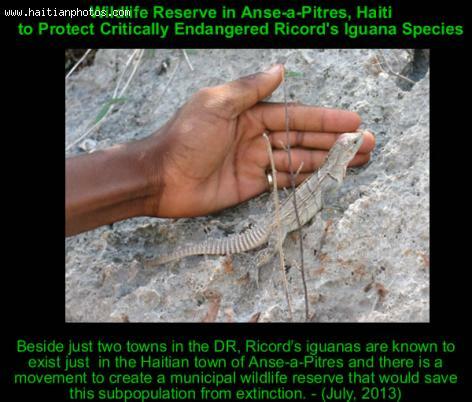 A wildlife reserve is in the works between the IIF (International Iguana Foundation) and the Haitian community to protect the Ricord's iguana, an animal that is considered critically endangered. With deforestation a hot topic in Haiti currently, the threatened iguanas are looked to as an aid, as they are important for the reforestation of these stripped areas. A recently discovered subpopulation was found in the Anse-a-Pitres region of Haiti, but it is considered as being very tenuous.